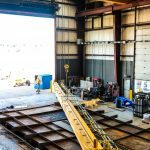 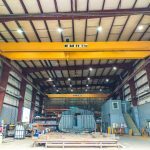 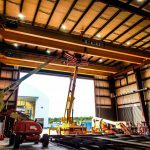 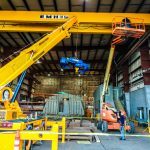 Great Lakes Shipyard installs a new overhead bridge crane its main fabrication building. 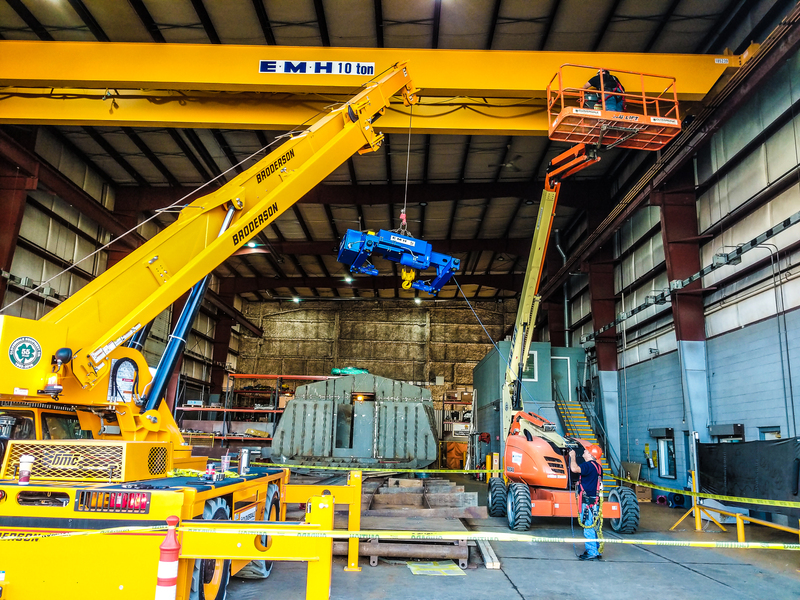 The crane is built by EMH, Inc. of Valley City, Ohio. 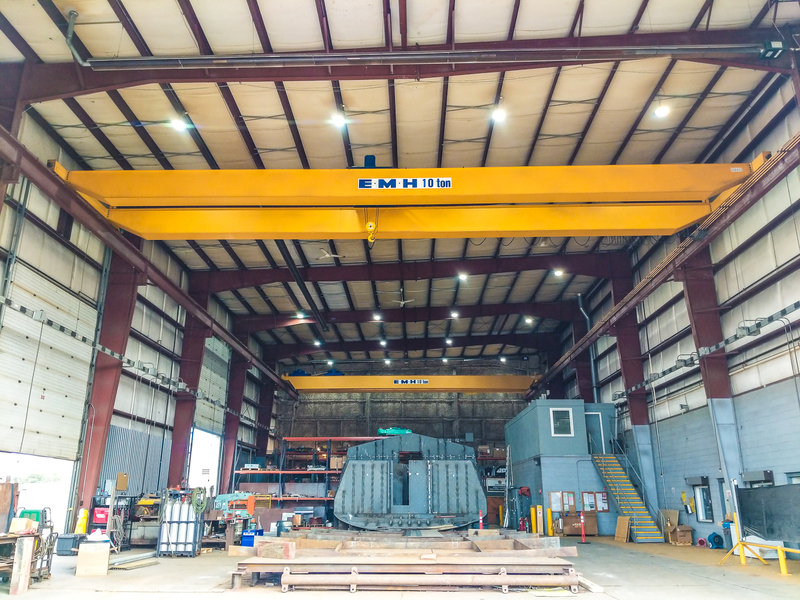 There are two independently operated 5-ton lifts, so the combined lifts have 10-ton capacity. 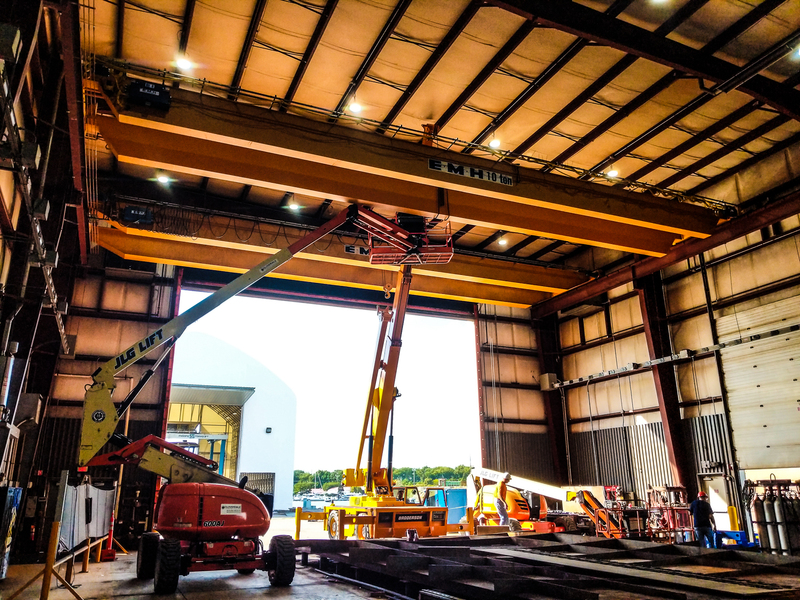 This new crane is an important addition to the shipyard’s facilities and equipment. 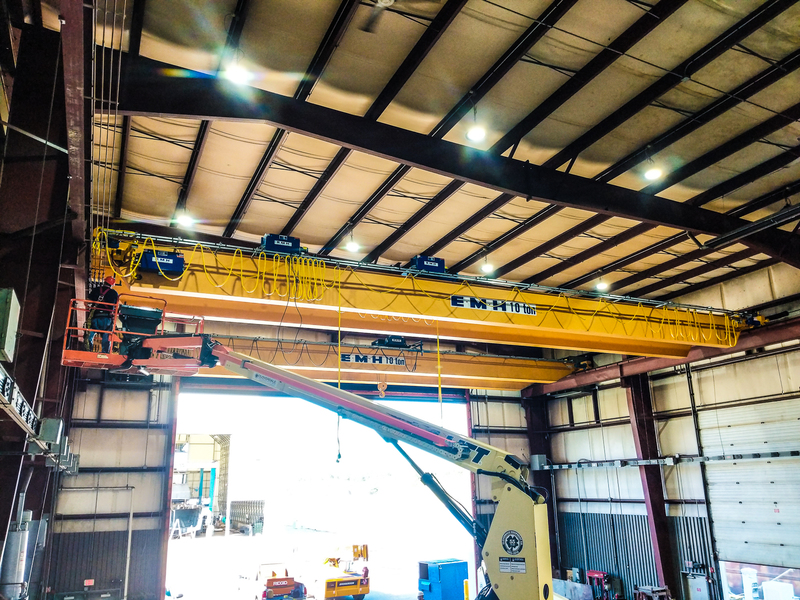 The Company has an existing single lift 10-ton overhead bridge crane, so this new crane increases the lift capacity and provides more flexibility. 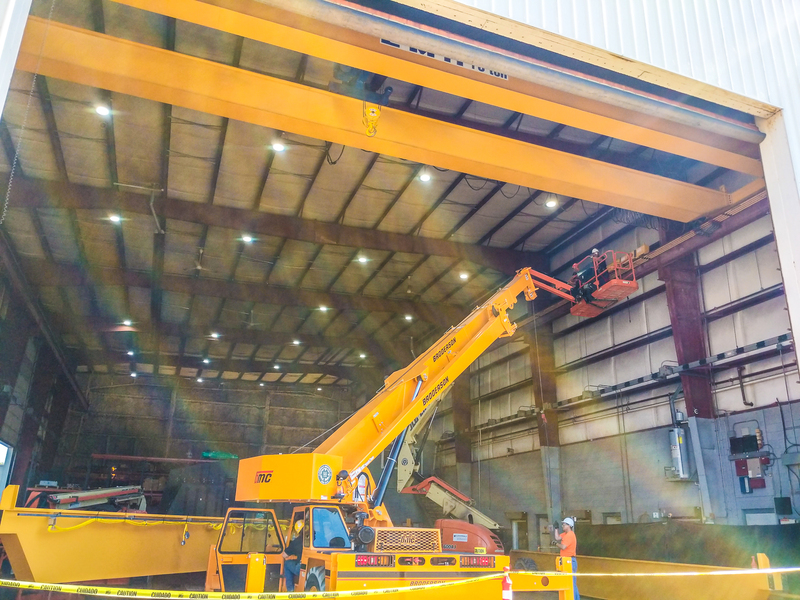 It provides flexibility in material handling, thereby increasing productivity. 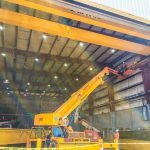 During any fabrication process, multiple teams can be working simultaneously as cranes hold the shell plating and large framing on vessel modules. 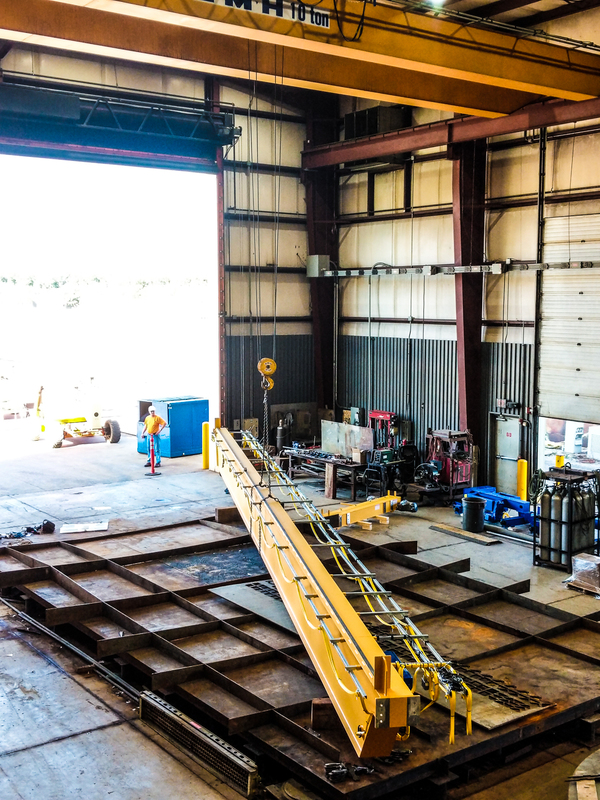 It also allows for quick and easy placement/removal of large steel plates from the plasma cutting table surface. 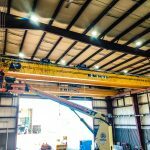 The crane is funded in part with assistance from a Maritime Administration (MARAD) small shipyard grant.